Our first introduction to Westies began with a young puppy named Piper. Piper is a very well trained therapy dog at Eagle Ridge Manor. Piper’s owner Kenzie, proudly showed how well behaved and obedient he was to Marie who also works at Eagle Ridge Hospital/Manor. Marie was so impressed with how Piper listened to only Kenzie’s voice and how he was not distracted by other people talking to him or walking by him. A Hospital environment is strictly controlled, so only a few specially trained dogs are allowed to interact with the patients. Kenzie praised the training techniques of Sit Happens and how easy it was to prepare Piper to work in the Manor with the patients. Marie told our son Stephen and I about Piper. We all agreed that an obedient and affectionate Westie would be a wonderful addition to our family. It was the right time for our family to have a dog. Learning about the West Highland White Terrier posed as a daunting challenge. 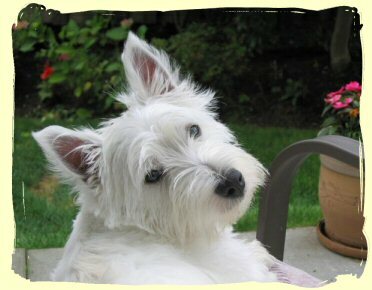 Westies are known to be obstinate, intelligent, high energy, and affectionate. 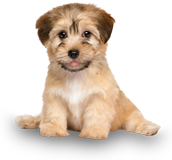 Luckily at the time, another co-worker at Eagle Ridge Hospital named Cheryl had a Westie named Zoey who was going to breed puppies with Piper. When Marie heard about this, she quickly asked to reserve a puppy for our family. Our son was so excited in having his first dog. We all couldn’t wait. On Christmas Day, Zoey gave birth to 4 male puppies. We instantly fell in love with the puppy Cheryl recommended for our family. His name was registered as Hamish of Fairview. Being born on Christmas day we all decided to call him Frosty. After learning about Westies from Cheryl and Kenzie, we spent several days visiting all the puppies and getting closer to Frosty. On Valentines Day, we brought Frosty home. We were so delighted in having Frosty become part of our family. We thought it would be easy to train him, but Frosty had his own agenda. The Westie traits were staring to come through and he clearly wanted to dominate his position in our household. Frosty would always bite our fingers and hands, every time we petted him. Taking him out to walk outside became an impossible task. Frosty would also bark at our friends and anytime someone rang the doorbell or knocked on the door. It became very frustrating, as no discipline would alter Frosty’s bad behaviour. We were at a loss as to how to get Frosty to stop the bad habits he was showing every day. Our thoughts then went to Frosty’s father Piper, and how well behaved he was. Kenzie told us how Sit Happen’s training techniques helped Piper become a well behaved, fun loving dog. Frosty would not listen to us, and his biting became increasingly annoying. We decided to give Sit Happens an opportunity to help calm Frosty down and become more obedient. We loved Frosty, but he had become more and more stubborn and just by touching him, he would quickly bite our fingers. This was not the type of temperament we wanted in a family pet. We called Sit Happens, and arranged a meeting with our family. When they came over we described the problems and frustrations we had with Frosty. Within a few minutes, we learned so many tips from the trainer. They corrected us on how we should be more consistent and patient with the proper use of commands with Frosty. We love walking, and we told them how Frosty would put on the brakes every time we tried to take him for a walk. We all went outside and we were so surprised and shocked, how within minutes Sit Happens had Frosty paying attention and walking. We instantly became hooked on Sit Happen’s methods. Within a short period of time Frosty was walking with us, and learning commands such as Sit, Off, Come, Heel, Place, Quiet and Down. We could finally eat at the table without Frosty begging and staring at us. If someone rang the doorbell, Frosty would be less likely to bark and rush to the door. His biting became less and less. We could finally enjoy taking leisurely walks without stopping every few feet. Sit Happens truly made training Frosty an enjoyable and rewarding experience. The outdoor classes are amazing! You can clearly see how the training methods of Sit Happens changes the dogs into well behaved and obedient pets for the owners. Dogs of different breeds and sizes helped Frosty socialize more effectively in this controlled environment. We now get lots of complements on how well behaved Frosty is around other dogs. By watching the other dogs, we are encouraged to teach Frosty new commands. 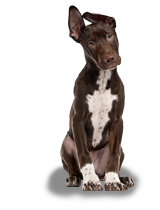 The owners are all friendly, and you are always learning a better way to help train your dog more effectively. I never thought I’d see the day we could walk Frosty off-leash on a walk with so many distractions. We can now comfortably walk Frosty off-leash around groups of people, kids, bicycles, other dogs, and even horses. None of this could be possible without the training and encouragement of Sit Happens. Our relationship with Frosty has truly changed from the early beginnings. 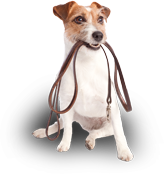 We can recommend Sit Happens to any new dog owner, who needs help in dog obedience. Many thanks to Sit Happens for providing a fantastic environment for the dogs and the owners to learn together. You have made our love and enjoyment of Frosty a delight with his new found skills and behaviour. Scott, Marie, Stephen, and Frosty.